LOS ANGELES – Whatever honeymoon was in effect between L.A. County’s new sheriff and Los Angeles County Supervisors seems to have ended. In a rare public confrontation with Los Angeles County’s elected sheriff, the county’s governing body is expected to vote Tuesday on a motion that would challenge the recent reinstatement of a deputy who was fired in connection with allegations of domestic abuse and stalking, the Los Angeles Times reported. The five-member Los Angeles County Board of Supervisors has little direct control over the county’s top cop. But Sheriff Alex Villanueva‘s rehiring of a fired deputy who worked on his campaign has sparked widespread criticism among watchdogs and prompted action by two supervisors. Supervisor Kathryn Barger, the lead author on the motion, along with Supervisor Sheila Kuehl, cited “grave concerns” over the reinstatement and expressed alarm over Villanueva’s comments last week that the move was justified because the deputy’s accuser waited to come forward and was hesitant to testify. The motion expected to be voted on Tuesday calls for the county’s five supervisors to send a joint letter to Villanueva expressing their concern and asking the sheriff to reconsider the reinstatement. It would also direct county counsel to examine the procedures the supervisors can take in navigating conflicts with the sheriff. Sheriff’s Department spokesman Capt. Darren Harris said Villanueva is aware of the motion. He did not comment further. The Times reported this month that Caren Carl Mandoyan was fired in 2016 by then-Sheriff Jim McDonnell after a fellow deputy alleged Mandoyan grabbed her by the neck, tried to break into her home twice, sent her harassing text messages and admitted to listening to her conversations. A county appeals board heard evidence in the case and upheld Mandoyan’s dismissal. Prosecutors investigated the woman’s claims and looked at video evidence in the case but declined to charge Mandoyan with intimate partner violence. Mandoyan did not respond to requests for comment. Mandoyan, who appeared onstage at Villanueva’s swearing-in, served as his driver and played a key role in persuading rank-and-file deputies to rally behind Villanueva’s long-shot bid. The motion does not mention Mandoyan by name, but a spokeswoman for Barger confirmed he is the deputy referred to in the document. 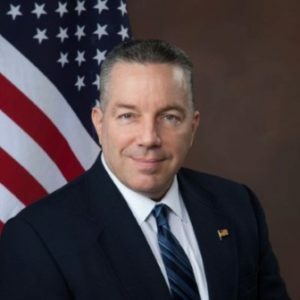 9 comments for "Supervisors challenge new sheriff’s reinstatement of fired deputy"
The L.A. County Board of Supervisors is expected to pass a motion today challenging new Sheriff Alex Villanueva’s decision to rehire a deputy sheriff who was fired two years ago. A county appeals board heard evidence in the case and upheld Mandoyan’s dismissal. The deputies discharge was based on documented evidence and grounds for termination were upheld by Civil Service Commission. What he did to her would be grounds for arrest for a citizen. If the target of his behavior filed a restraining order then Mandoyan would have to surrender any weapons.. which would make being a cop somewhat futile..
Sheriff Villanueva’s decision to reinstate Caren Mandoyan says that bad personal behavior will be rewarded and condoned if you worked on the sheriff’s political campaign. It also send a conflicting message to the community about the sheriff’s plans to “clean house” and rid the department of bad apples. Yes there is evidence against Mandoyan with his admission of listening in on this persons conversations, plus physical and emotional abuse, and stalking. Go get him! Well, the obvious counter argument is that if there were really strong evidence there would have been charges filed. Just as an example, you are citing his “admission of listening in on this person’s conversations” where there may not be any evidence quality admission of that. It could be that she said he admitted it to her. I find her statement more than sufficiently credible to fire him, and I’m thinking that that is what the previous sheriff and the appeals board found also. That doesn’t require evidence in a trial sense, and it shouldn’t, so when the ‘so why no charges’ defense starts building it needs to be shut down quickly and claims about evidence that may not exist in a legal sense aren’t the way to shut it down. The previous sheriff determined that her story was credible at an employment termination level. The county appeals board agreed it was credible at that level. Has anything changed, or is the new sheriff just coming to a different conclusion than has been previously agreed upon? If the former, what is it that changed? If the latter, how much authority does the sheriff’s solo conclusion give him in the face of existing consensus? A lot of cops are fired when they should have been prosecuted. You know how that works. Then there are a lot of cops that should be fired, but instead, put on desk duty until the whole thing blows over. You know how that works. It’s called “breaking the law with impunity.” There are enough people on this one to make a difference, I believe. Indeed, I do know how that works…but it actually works two different ways, one of which applies to everyone. There are indeed ‘firing offenses.’ They don’t require the standards of evidence that apply in a courtroom. For example, if I tell someone “I hope you die,” and they take it into their head to have me arrested for threatening them they need to edit what I said, because a hope has no implied action so it isn’t a threat. And generally if I say that sort of thing I make sure I’m being recorded so even with editing in their complaint I’m not being convicted. But if I say that to my employer they don’t need to prove a crime. They can just fire me for making them uncomfortable and call it a day. So it is much easier to say that what the guy did was a firing offense than it is to say (and prove) that it was a crime. Most sexual harassment situations fall in that area. She said it, and she’s credible, probably a couple co-workers on the periphery said ‘yeah, I can see him doing that, it fits.’ He’s fired. But that’s not a case I want to take to a jury. Now, yes, there’s also a very good chance that if he were not a cop there would have been a much more effort heavy investigation and maybe more evidence would have turned up. Enough evidence to make taking it to a jury a good prospect to do some good. I dunno. What I do know is that courtroom standards of evidence aside, there was plenty of justification for termination, as reviewed by the appeals board, and overturning that shouldn’t be done as a favor…ever. If the sheriff is looking at the same evidence and coming to a different conclusion we really need to know that it isn’t just because he owes the guy. Either the appeals process is flawed, or the sheriff is.